Is your schedule too hectic to manage day to day administrative tasks? Do you need a professional and customer-focused organization to manage basic tasks like answering phones and relaying important information? 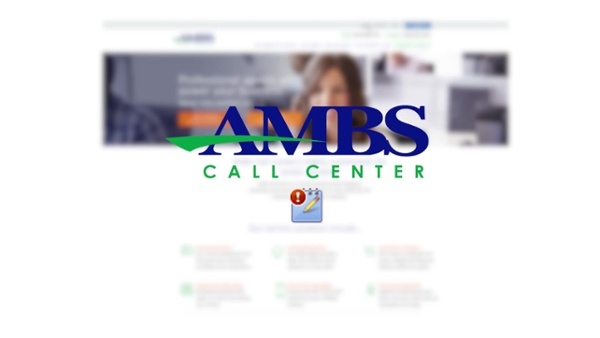 Working with Ambs Call Center will allow you to focus on your primary responsibilities and leave everything else to our reliable US-based customer service organization. 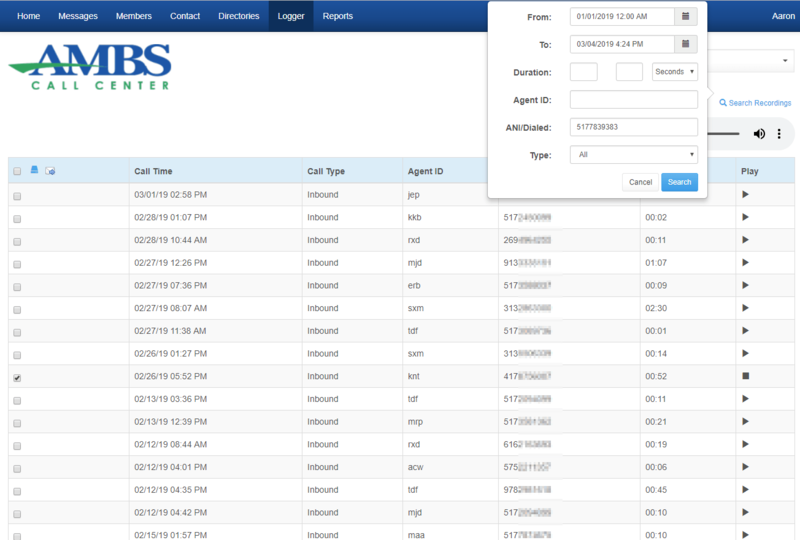 To further make your work life easier, we have a web-based suite of apps called myAmbs Client Web Portal for you to use. Every message our team of client call agents gets recorded. With Message Retrieval, you’re able to view and read every message, and take appropriate actions based on the caller’s needs. 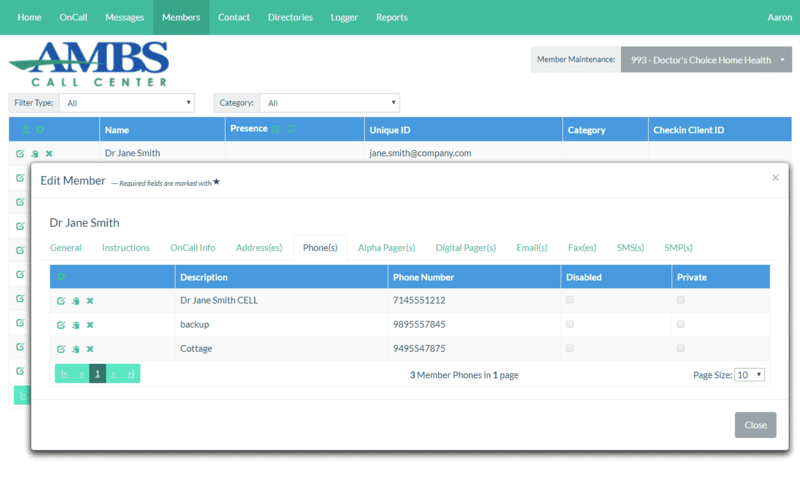 Powerful search feature that lets you search for specific information within seconds such as caller name, cell phone data, and full documentation taken to relay the message to your staff. 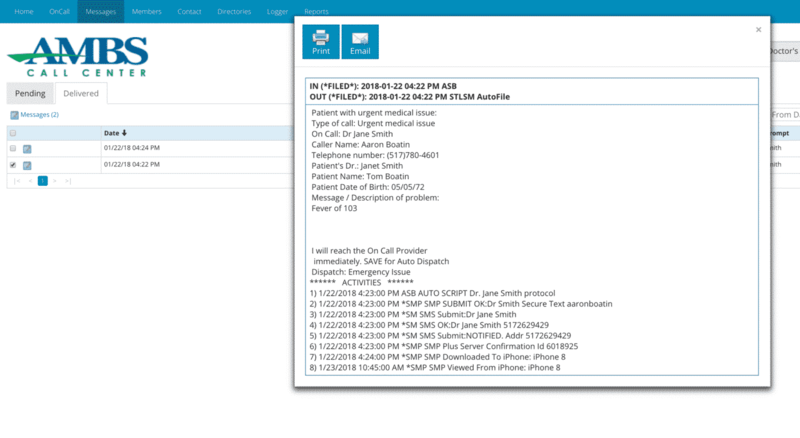 Answering service audit trail that shows all texts, pages to a medical alert device, phone calls, and e-mail documentation for each call answered. Since the team at Ambs Call Center is available for your customers outside of your regular hours of operation, it’s important to let us know who’s on-call to accept calls that need to be escalated. 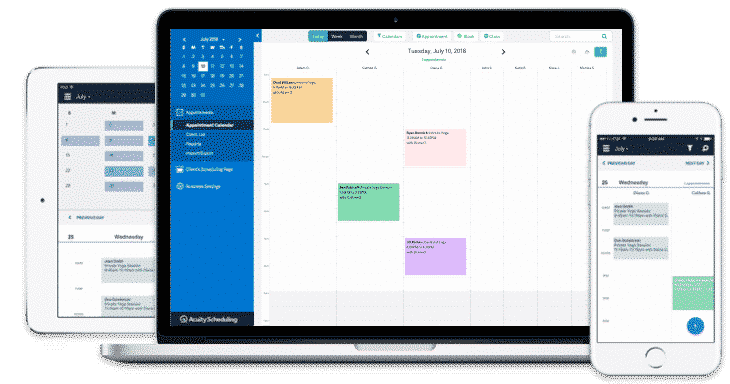 Our Web On-Call scheduling app makes setting your on-call schedule quick and easy! You can fill out your entire month of coverage in a matter of seconds. It can even instantly accommodate last minute changes to you, or your staff’s schedule. Avoid your schedule being temporarily down for maintenance from now on because you can update it instantly! Plus, it’s easily shareable with your entire organization so everyone is aware of your on-call status. Listen to incoming and outgoing calls that are received by our call center. This feature is a great way to hear the tone of the caller's voice. It is also helpful if you need to verify information such as a customer approving the after-hour service call at overtime rates. You can listen, download and email the call recordings. A powerful search feature also allows you to search by time/date, duration, caller ID, person, and incoming or outgoing call. 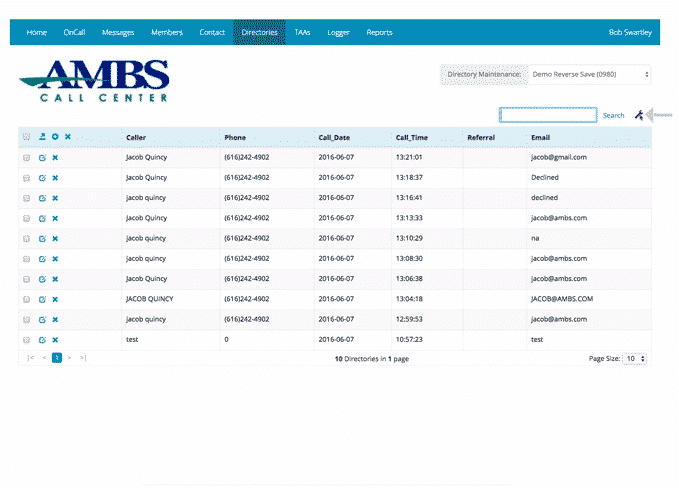 Ambs Call Center’s contact app gives you the power to instantly send messages to any member of your team. You can also send messages to many staff at once by a variety of methods such as text, encrypted text messages, email, phone and fax. It’s a great communication tool that gets information into the hands of people that need it, fast! Need to find a phone number for a member of your team? You can look it up in your staff directory. Need to update your answering service information? No problem. Changes can be made easily to make sure we have up to date information. Ambs Call Center’s Appointment Scheduling service gives you the ability to have appointments scheduled for your business 24/7. It syncs with the calendar on your phone so you always are up to date. 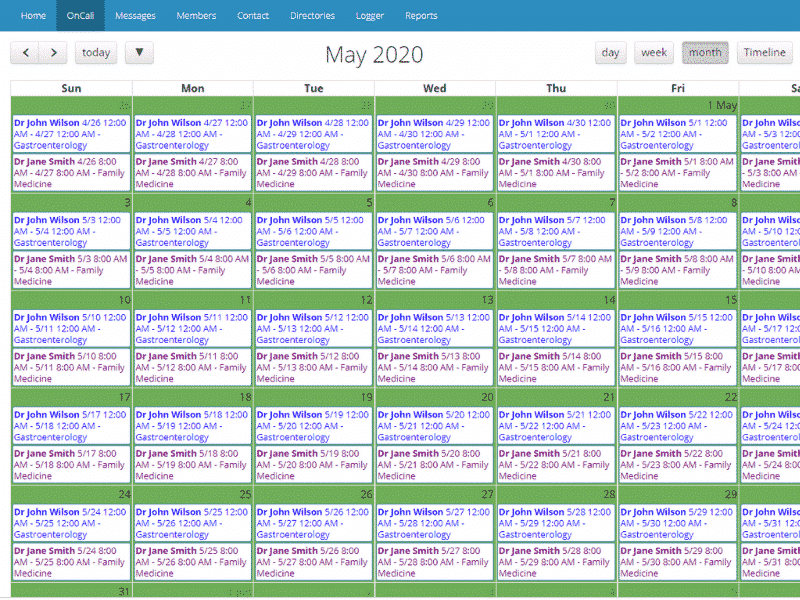 It supports Google, iCloud and Office 365 calendars. You can also send appointment confirmations and reminders by text or email. 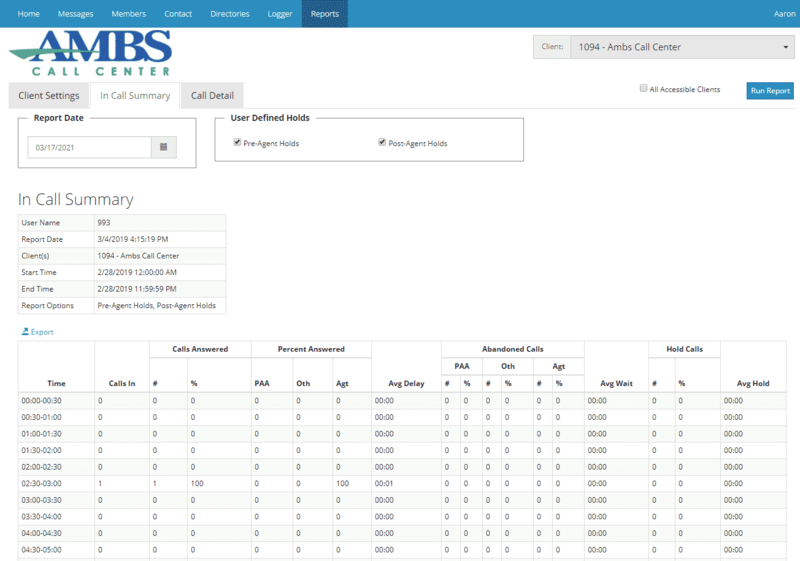 The Web Directory app gives you secure, real-time access to database records of information gathered by Ambs Call Center, as well as customer databases you’ve provided to our team to help manage your calls. Real-Time Reporting allows you instant access to insights into service levels and call volume patterns for your organization. You can also review information that our answering service is using to handle your calls. The myAmbs Web Portal gives your business real-time access to your data to get results fast.